The Austin Leg Drive emphasizes multiple joint movements as well as triple extension. The machine allows your athletes to develop the upper and lower body in a natural movement specifically for football as well as for other sports like basketball, track and swimming. Our leg drive machine provides weight resistance and forward movement of the upper and lower body and uses negative resistance during the backward movement of the work out. The Austin Leg Drive develops quicker starts and strengthens isolated muscles that are used for specific positions. The “on-the-rise” movement pad provides upper body development for hand and arm movements. The Austin Leg Drive simulates a player driving “forcefully” off the ball. 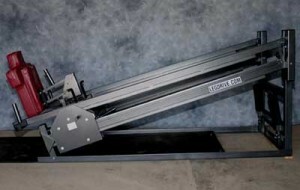 The sled like machine can be utilized by all sports during all seasons. 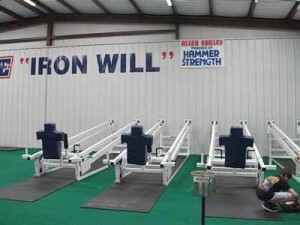 It is truly the best machine on the market for “Total Body Fitness”, as well as “Mental Toughness”. 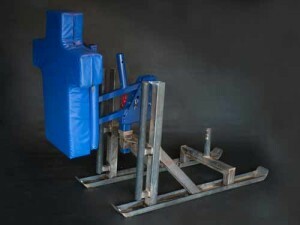 The Austin Leg Drive 3 in 1 Field Sled! This new football training device is a 3 in one sled: you can push it, harness pull it, and block it. 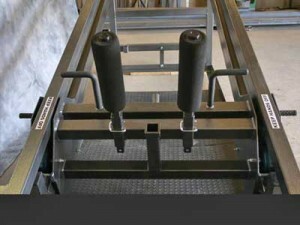 The Austin Leg Drive 3 in 1 Field Sled has the tee pad with the on the rise movement on it. This is the same movement as created by the original stationary leg drives which helps to produce the amazing results of this leg strength equipment. This is a great football training tool for use in developing leg strength by offensive and defensive squads. “The Austin Leg Drive has been an important addition to our facilities. 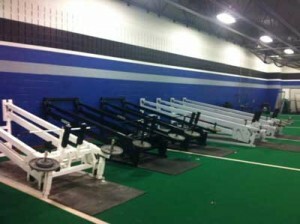 We currently have 10 of the 20 foot machines in our weight rooms at the high school. We also have one 7 foot machine on each of our middle school campuses. When using the Austin Leg Drive your players are developing functional strength in their Hip Extensors, Gluteus Maximus, Hamstrings, Quadriceps and Calves. The Leg drive also engages their Shoulders, Triceps, Abdominals, and Obliques. The strengthening of this muscle groups and related joints allows for increased acceleration, explosiveness and power.